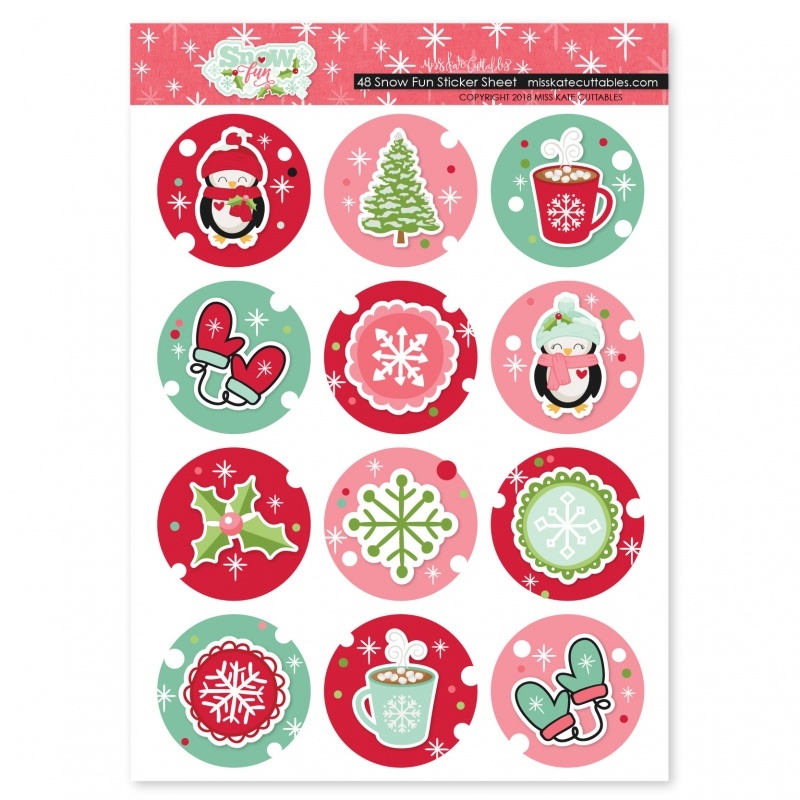 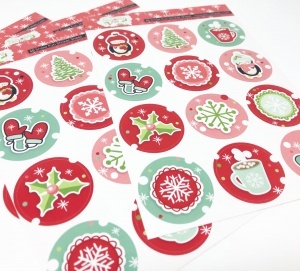 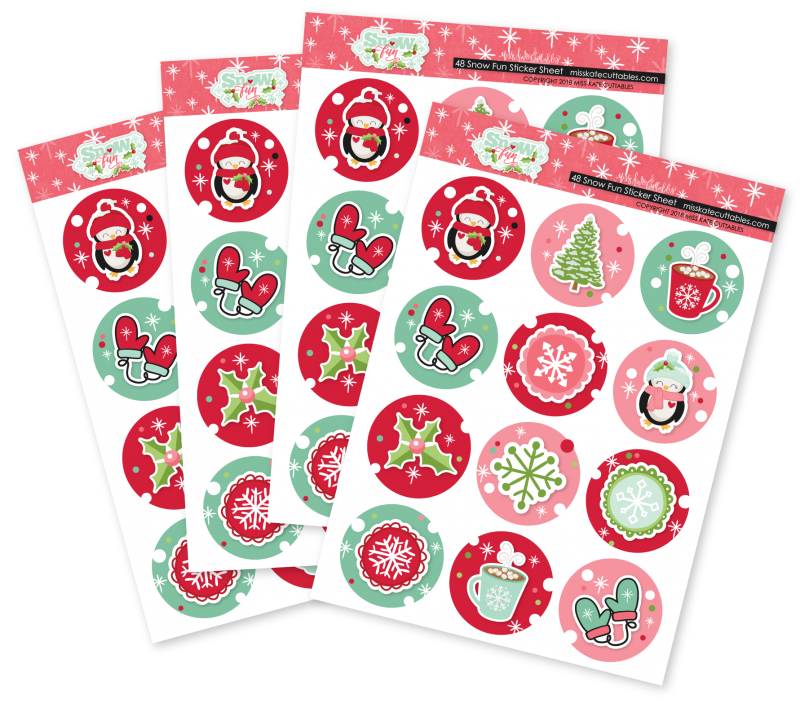 COLLECTION COORDINATES WITH OTHER MISS KATE CUTTABLES PRODUCTS: Our Snow Fun Round Sticker Pack coordinates perfectly with our Snow Fun Designs. 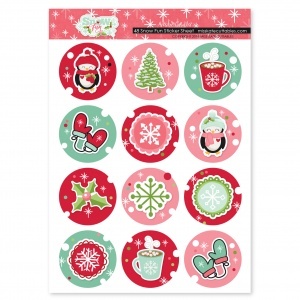 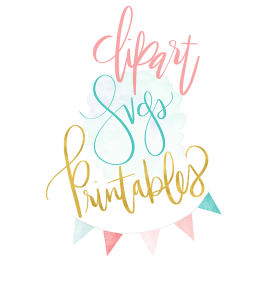 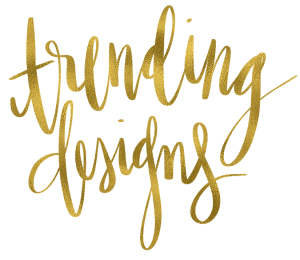 ►Great for Decorating Presents & Gifts Cards Scrapbooking and perfect for your Scrapbook. 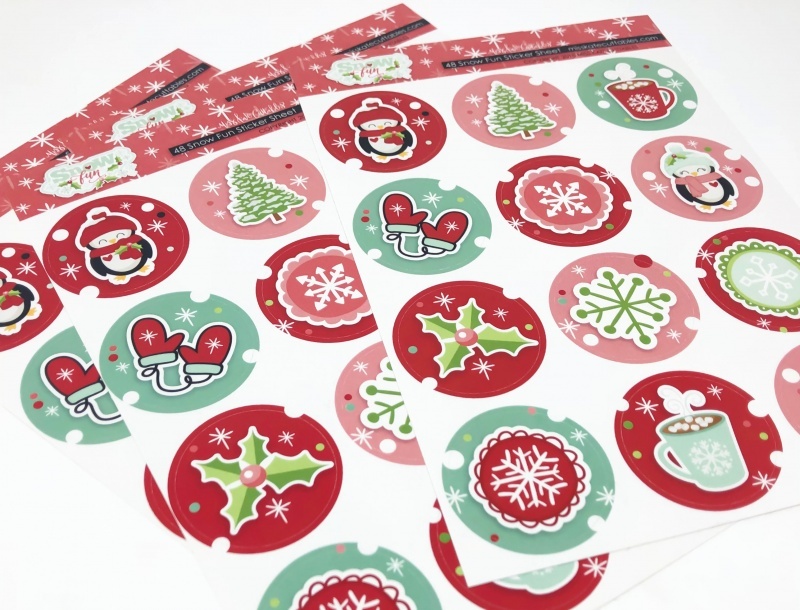 STICKER PACK: ►Over 48 Individual Stickers ►60lb Premium Matte Permanent Adhesive ►Acid and Lignin Free Archival Quality ►Features Hi-Definition Print TECHNOLOGY. EXTREME VALUE: In this Pack you get so many unique cute Stickers to enhance and create several projects with your Planner Calendar Cards Scrapbook and anything else!